Xiaomi sub-brand Redmi launched the Redmi Note 7 and Note 7 Pro in India last month. Today, the company adds a third smartphone to the list - Redmi Go. 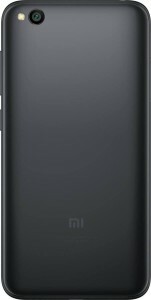 It is priced at INR4,499 ($65) and will go on sale from March 22 through Mi.com, Flipkart, and Mi Home stores across the country. 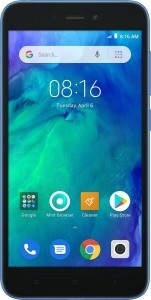 The Redmi Go is the first Android Go smartphone by the newly independent sub-brand. It runs Android 8.1 Oreo (Go Edition) and comes with lightweight versions of the apps like Google Go, Files Go, Google Maps Go, YouTube Go, and Gmail Go. Besides, it also comes pre-installed with lite apps like Facebook Lite, Messenger Lite, Twitter Lite, and Ola Lite. The Redmi Go has Snapdragon 425 SoC under the hood which is laced to 1GB RAM. It features a 5-inch 16:9 HD LCD panel and comes with 8GB of storage onboard. The Indian variant has a separate slot for microSD cards so that you don't have to choose between an extra SIM card or extra storage. Other India-specific features on the Redmi Go include support for 20+ regional languages and Google Assistant in Hindi. The photography department on the Redmi Go is handled by an 8MP (f/2.0) rear camera and a 5MP (f/2.2) front camera. It is offered in Black and Blue colors and packs a 3,000 mAh battery which is generous for its chipset and display.